 Discussion Questions: 1) Describe a worship service where you felt like everyone was offering their very best gift. 2) What have you done to prepare your offering of worship? 3) What will you do between now and Sunday to prepare your offering of worship? Discussion Questions: 1) What are some barriers to hanging on to what God says? 2) Is there something particular (a scripture or promise) that you are hanging on to in this season of life? 3) What one simple action could you take in order to hang on to some words from Christ? Discussion Questions: 1) What keeps some people from going all in with their relationship w Christ? 2) What areas of going all in do you struggle with? 3) How would your worship service be different if ever person serving was all in? Discussion Questions: 1) Why are we sometimes tempted to stand and make a big deal out of ourselves? 2) Describe a time when you saw a worship leader use their posture in a powerful worship moment. 3) What is one thing you can do in order to lead with humility and worship? Discussion Questions: 1) How is God like a shepherd? 2) How are we like sheep? 3) Why is it so hard to trust God? 4) What one area do you struggle trusting God? 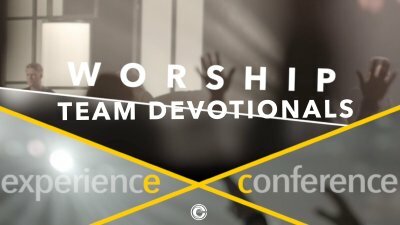 Discussion Questions: 1) Imagine your worship team was asked to lead worship during a Main Session at the next Experience Conference. How would you feel? 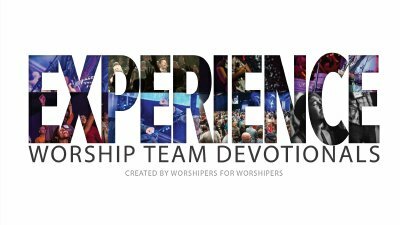 2) Imagine that everyone from your team, except you, was asked to lead worship during a Main Session at the next Experience Conference. How would you feel? 3) Who are you glorifying? 4) What one change can you make in order to give more glory to God? Discussion Questions: 1) Why do we sometimes feel that God doesn’t delight in us? 2) According to PS 147:11, what are the requirements for God delighting in us ? 3) If we really believe that he delights in us, how would that change us? Discussion Questions: 1) What areas in life are you struggling with? 2) Does worshipping while leaning mean that we ignore the problems? 3) Why is there power in worshipping while we are leaning? Discussion Questions: 1) Why is selfish ambition such a struggle? 2) Describe a time when you experienced someone else valuing you above themselves - 3) What can your team do in order to value each other? Discussion Questions: Why is it tempting to praise ourselves? If someone else was chosen to serve in your place on Sunday, how would you feel? What is the greatest compliment your worship team can receive? Discussion Questions: Describe a time when you were in awe of God the most: Do you have places that are more awe-inspiring to you than others? What could you do this week to be more in awe of God? Discussion Questions: Have you ever walked through a hard season of life and later realized that it was actually a good thing? Describe that experience. If you are in a challenging situation right now, what do you think God would say about it? What do you think God intends for your life? 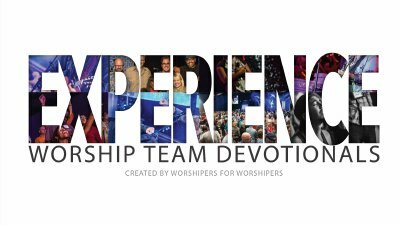 What are Experience: Worship Team Devotionals?